Size 32 inches long by 9.5 inches wide and 2.5 inches high. Specially designed and made of high density plastic, re-usable and water resistant; this trap will last for years. 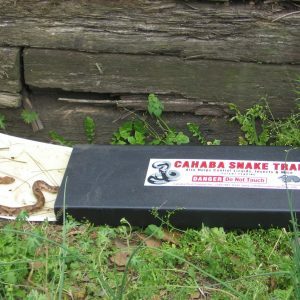 The trap is designed to catch large snakes and can be used inside or outdoors. Comes with (4) large catch inserts.